World Goth Day is here. It’s a day for the gothic subcultures to embrace and show who they really are from the inside, as usually a generic part of their social group shy away from the public eye and feel much more at ease amongst people interested in the same things, like music, clothing, art and more. Events all over the world will be hosted with one thing in common, the grungy, dark culture. So, in recognition of this day and to show our appreciation of some of the well-known bands and music tastes almost worshipped in this culture, we have put together some of our favourite Goth Bands! 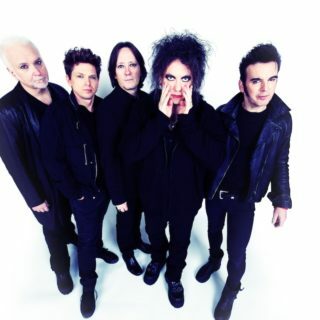 It all started in 1976 as Easy Cure, formed by Robert Smith (vocals, guitar) along with schoolmates Michael Dempsey (bass), Lol Tolhurst (drums) and local guitar hero Porl Thompson. They began writing and demoing their own songs almost immediately, playing throughout 1977 in Southern England to an ever-growing army of fans. 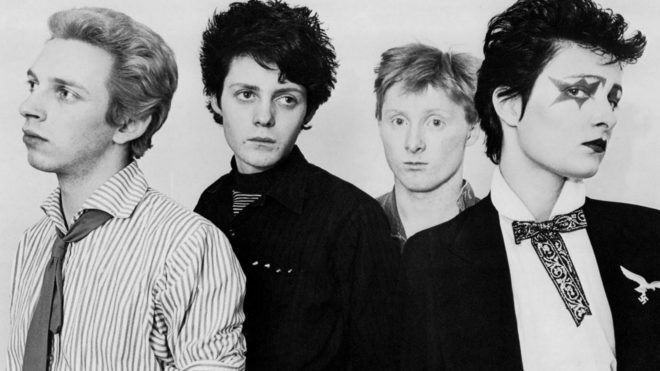 In 1978 the ‘Easy’ was dropped, along with Poole, and an eager trio now known simply as The Cure were quickly signed to Chris Parry’s new Fiction label. Many people may not know of the actual band name, but the songs are with us in everyday life, especially in cinematography, I’ve heard many of their popular singles in rom-coms, dramas and more… such as their ‘Friday I’m in love’ single which is in the 2013 film About Time. 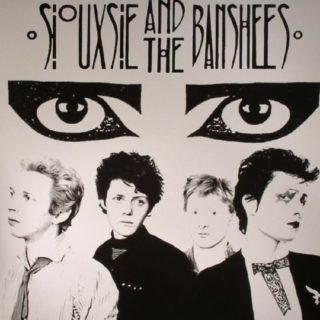 Robert Smith Played the Guitar in Siouxsie and the Banshees: After their debut album was released, the Cure went on the road opening for goth gods Siouxsie and the Banshees. When the Banshees’ guitarist quit, Smith filled in and then played on some of their records. Smith met his wife, Mary Poole, when he was 14. They took a drama class together at school. They married in 1988. That’s her as the ghostly figure dancing with Smith in the ‘Just Like Heaven’ video. You might know every single word to every single Cure song, but only ‘Lovesong’ reached the Top 10, climbing to No. 2. Only two other songs — ‘Just Like Heaven’ and ‘Friday I’m in Love’ — hit the Top 40. Evanescence filled a niche few knew existed: the need for operatic goth pop, soul-baring introspection paired with churning metallic guitars. Singer/pianist Amy Lee cut such a figure fronting the group that it was easy to not think of Evanescence as a band, but rather a support group for her songs. After some lineup shifts, however, including the departure of founding member Ben Moody, the band consolidated and remained one of the most popular post-alternative American bands of the 2000’s. 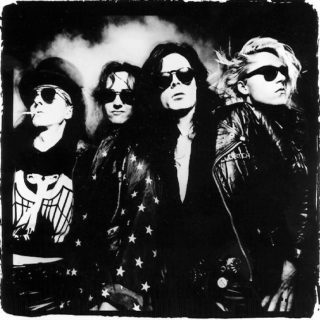 The Sisters of Mercy are an English gothic rock band, formed in 1980 in Leeds. After achieving early underground fame there, the band had their commercial breakthrough in the mid-1980s and sustained it until the early 1990s, when they stopped releasing new recorded output in protest against their record company WEA. Currently, the band is a touring outfit only. The band never had a drummer and used a progression of drum machines all named Doktor Avalanche. The group released a series of singles and was joined by Craig Adams on bass and Ben Gunn on the second guitar. When they released their first album, “First and Last and Always”, Wayne Hussey replaced Ben Gunn. Gary Marx left soon afterwards. One of our favourites, this band was well known in the 70’s for its peculiar lyrics, gothic visuals and the main singer’s iconic voice and appearance. Their music is hard not to love, with other subcultures enjoying their music too. The Mission is an English gothic rock band formed in 1986. Initially known as The Sisterhood, the band was started by frontman Wayne Hussey and bassist Craig Adams, soon adding drummer Mick Brown and guitarist Simon Hinkler. Aside from Hussey, the line-up has changed several times over the years and the band has been on hiatus twice. They specialise in gothic rock and punk. This band deserves a place on the list because of its iconic sound and many hits in the UK. Of all the bands involved in Britain’s goth-rock movement of the 1980s, Fields of the Nephilim were the most believable. 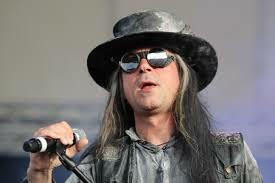 The group’s cryptic, occult-inspired songs were sung in a guttural roar by vocalist Carl McCoy. Live appearances were shrouded with dim light and smoke machines, while bandmembers stalked the stage in black desperado gear inspired by the western dress. The group was also one of the longest-lived of the original goth-rock groups, finally disbanding in 1991 when McCoy left for another project. 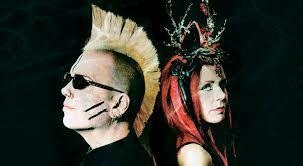 Faith and the Muse is an American gothic rock/darkwave band composed of two musicians, Monica Richards and William Faith. Their music encompasses many genres, from folk-style songs to darker compositions. Their music videos consist of spooky montages of dark scenes. Richards is the primary singer, although Faith sings one or two tracks on each album. Their influences include dark alternative, gothic rock, Celtic, and other folk influences. Welsh and Irish mythology has often served as an inspiration to many of the band’s songs. 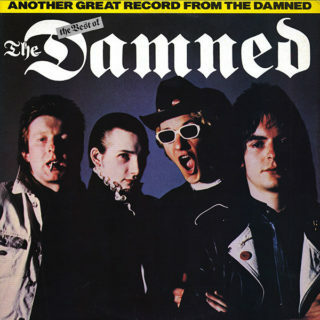 The Damned are an English rock band formed in London, England in 1976 by lead vocalist Dave Vanian, guitarist Brian James, bassist (and later guitarist) Captain Sensible, and drummer Rat Scabies. They were the first punk rock band from the United Kingdom to release a single, “New Rose” (1976), release an album, Damned Damned Damned, and tour the United States. They have nine singles that charted on the UK Singles Chart Top 40. The main singer had an iconic and baritone voice which isn’t like many other bands of this genre which was probably due to his punk roots. His voice was appreciated and celebrated by many. The band briefly broke up after Music for Pleasure in 1977, the follow-up to their debut album, was dismissed. They quickly reformed without Brian James and released Machine Gun Etiquette. In the 1980s they released four studio albums which saw the band moving towards a gothic rock style. The latter two albums did not feature Captain Sensible, who had left the band in 1984. 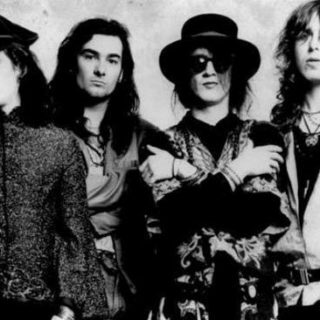 In 1988, James and Sensible rejoined to play what was said to be the Damned’s final live show. This was released the next year as the live album Final Damnation. The band’s origins can be traced back to 1981, in Bradford, Yorkshire, where singer/songwriter, Ian Astbury, formed Southern Death Cult, which was later shortened to just The Cult when other band members joined. 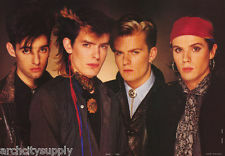 The Cult first achieved mainstream success in 1985, when they released “She Sells Sanctuary,” taken from their second album, Love. The song peaked at number 15 in the UK. In 2012, “She Sells Sanctuary” was mashed with Flo Rida’s “Good Feeling” for a Budweiser commercial. In 1986, The Cult started work on their third album, Peace. However, the band scrapped the record after growing unhappy with its sound. The band then decided to leave England for New York, where they met the producer, Rick Rubin, who helped popularize hip-hop, having produced key albums by Beastie Boys, LL Cool J and Run-D.M.C. Rubin convinced The Cult to re-record Peace and rename it Electric. All About Eve was a British indie rock/pop band founded in 1984 but disbanded in 1993. 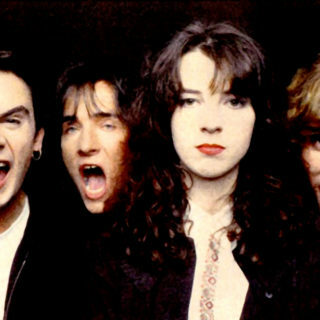 Their self-titled debut album was produced by Paul Samwell-Smith and released in 1988. It included the UK hit single, “Martha’s Harbour”. The album itself reached No. 7 on the UK Albums Chart, with much of its lyrical material drawing from hippie ideals, white magic and dreamlike fairy tales, the album’s gentle folk-rock inspired pop sound won the band many fans (nicknamed ‘angels’). Their music was sometimes considered gothic rock by the media, which is why they make our list.